Residents of East Kootenay are one step closer to having increased access to diagnostic testing within the region. 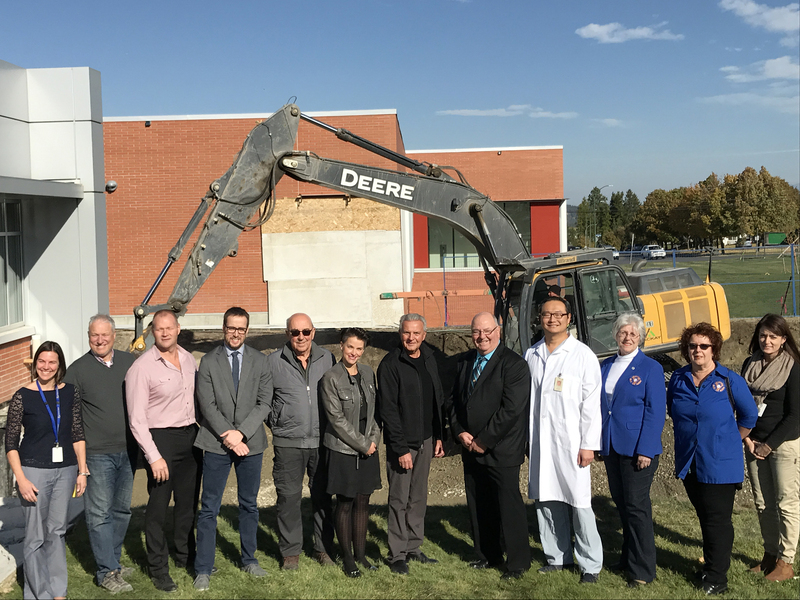 Construction has started on the addition to East Kootenay Regional Hospital (EKRH), which will be home to a new, permanent MRI service. Rendek Group of Companies was selected as the general contractor overseeing the construction of the new MRI space – an approximately 200 square metre (2,150 square foot) addition on the east side of EKRH adjacent to the intensive care unit. Construction is expected to be complete in the spring of 2018, and the new MRI unit operational in the summer. Today, East Kootenay residents receive MRI testing at a shared mobile MRI unit that comes to East Kootenay Regional Hospital for one week every four weeks. The new unit will mean the service is a permanent resource. The total investment for the new MRI, which covers the cost of the machine and the renovations to EKRH, is $5.65 million. 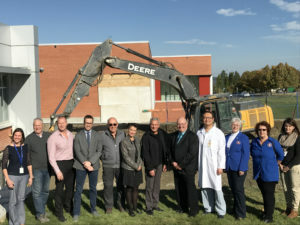 The Ministry of Health through Interior Health is contributing $2.21 million and Kootenay East Regional Hospital District (KERHD) $2.14 million to the MRI project, with the East Kootenay Foundation for Health (EKFH) and the Cranbrook Health Care Auxiliary covering the remaining $1.3 million. The enthusiasm around the permanent MRI and the generosity of East Kootenay communities allowed the EKFH to achieve its 18-month campaign goal of $650,000 in just five months. The $650,000 in funding from the Auxiliary has also already been secured. MRI, or Magnetic Resonance Imaging, is a safe and painless test that uses a magnetic field and radio waves to produce detailed pictures of the body’s organs and structures. MRIs are used to diagnose a number of medical conditions, including abnormalities of the brain, as well as tumours, cysts and soft-tissue injuries in other parts of the body. MRI scans are important diagnostic tools that do not use radiation; however, other types of diagnostic imaging – x-ray, ultrasound, or computed tomography (CT) – are more appropriate tools for many types of medical conditions. In addition to the current mobile MRI unit (which also provides service in Penticton and Trail), Interior Health has MRI units at Kelowna General Hospital and Royal Inland Hospital in Kamloops. Permanent MRI machines have been approved for Penticton Regional Hospital and Vernon Jubilee Hospital, which are expected to become operational in 2019.